When Apple announced a surprise update to the iPod Touch last week, many sought to revisit the appeal of the device in a smartphone-saturated world. One major benefit of the updated iPod Touch is the improved camera. We did some tests to see if the latest iPod matches the camera quality of the latest iPhone. 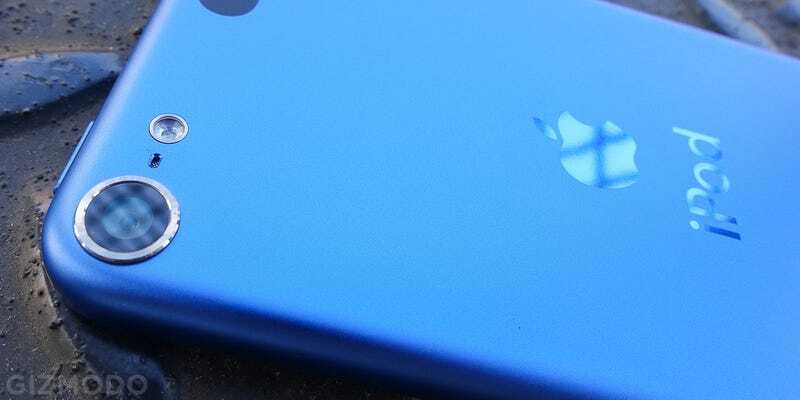 Last year’s iPod Touch sported a 5 megapixel camera, which was updated this year to 8 megapixels—same as the iPhone 6 has. But as we know, the same megapixel count does not equate to the same image quality. The difference isn’t huge, but it’s there. It reminds me of the difference I saw when upgrading to iPhone 6 from an iPhone 5s. So I decided to quickly test the iPod Touch against a friend’s iPhone 5s. The two look extremely similar. It’s odd, because Apple explicitly states that the camera in the new iPod Touch is an updated one. It seems clear that it has not been updated quite to match the iPhone 6. One interesting thing to note is that even though the iPhone 6 produces sharper detail in good light, I always preferred the way the previous generation of iPhone camera handled noise in dark situations. Less noise reduction is applied, which makes for more organic looking images. You get a courser grainy look, but it doesn’t look all smudgy like some pictures with the iPhone 6 can look. However, the iPhone 6 is a bit brighter overall. So if you’re all amped on the updated iPod Touch, keep in mind that even though you’ll see the same resolution as Apple’s flagship phones, you won’t necessarily see the same level of image quality.